Ribcraft 7.8 follows the rest of the Ribcraft Range in offering safe and dependable boating. She is designed as a commercial foul weather boat and has proven herself in this field. Even in inhospitable sea conditions worldwide the Ribcraft 7.8 will get you there with confidence. With a high sheer bow and a generous 2.7 metre beam they are true workhorses of the sea. Definitely the best of British built RIBS! 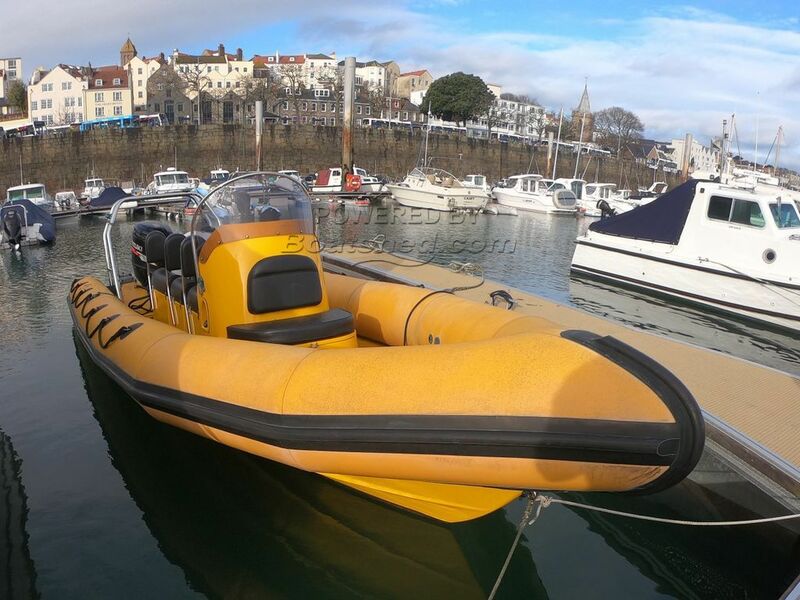 This Ribcraft 7.8m has been personally photographed and viewed by Tom Whitby of Boatshed Guernsey. Click here for contact details. Please note this comments section is public. Please do not post your personal details here. To enquire about purchasing this boat, please contact the broker directly at tom@boatshedguernsey.com. Please read our commenting guidelines before posting.